Launch of the LED Website! 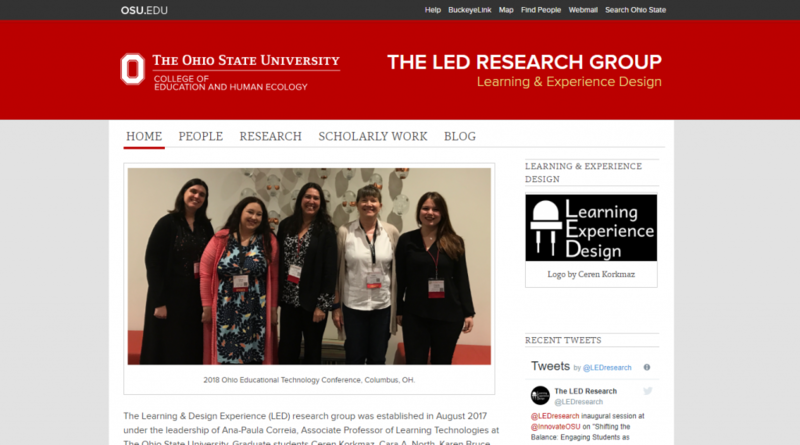 The LED Research Group worked hard for many weeks on creating a website that reflects our emerging identity in our first year of working together, and also represents our approach to research into learning technology. Following Reeves & Oh (2017), we have come to pursue theory development/synthesis goals, design/development goals, action/evaluation goals, and descriptive/interpretivist goals. Our rich and multifaceted approach meant that we had to work carefully through the design and development process, so that we could create a user-friendly, unified site. Our first step was to decide on a platform to create and host the site. As a new but vibrant part of the Ohio State University, we opted for the university’s U.OSU platform, which is available to all students, staff and faculty at the institution, and which offers templates that are coherent with its well-established visual brand. This design choice allowed us to affirm our commitment to the university’s long tradition of research excellence and innovation, and our desire to make a strong contribution to it. After that, all of the members worked together in building a showcase for the many types of work in which the research group engages, as we designed an intuitive navigation structure, and created textual and visual synopses of our multiple projects. We wanted to showcase not only the research group members, but also the research and development projects that they conduct, and the places where they present and publish their work. 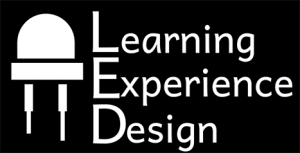 We also chose to keep a LED blog as a way to document the many accomplishments and activities of the group, to share content with the scholarly community in Learning Technologies, and to write about our experiences as a research group that is passionate about deep learning, i.e. learning that focuses on underlying or implicit meaning, that forges connections with prior knowledge and other information, and that foregrounds real-world or authentic applications. Reeves, T. C., & Oh, E. (2017). The goals and methods of educational technology research over a quarter century (1989–2014). Educational Technology Research and Development, 65(2), 325–339. Posted by bruce.133 at 4:59pm Posted in Uncategorized and tagged Website. Bookmark the permalink.